Mike is a 2017 LSC graduate and Executive Director at the YMCA in Swansea who is passionate about helping others grow, and improving our region. “The various program days during LSC really exposed me to what is happening along the South Coast, and propelled me to get more involved,” says Mike of his LSC experience. 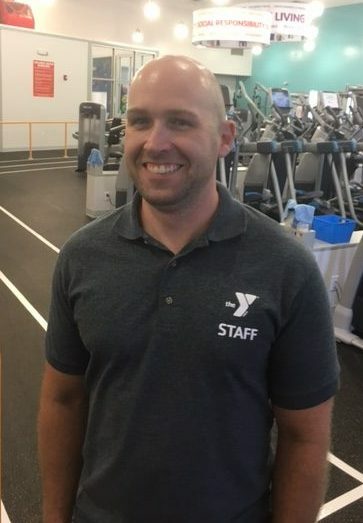 I am the Executive Director of the Stoico/FIRSTFED YMCA in Swansea, Massachusetts. My role keeps me involved in various aspects of our organization both locally and regionally throughout the South Coast. In addition to administrative duties, I still do some personal training and teach group exercise classes at our YMCA. I have worked for the Y for 17 years, and I started as a camp counselor during summer break from college. Having just graduated from LSC, I am just starting to get more involved in the community outside of my organization’s work. I will be joining the LSC program committee and potentially helping Southcoast Hospitals with some work regarding patient services. I am passionate about helping others grow, and improving our community. When I first joined LSC, I was working at the Dartmouth YMCA, and I wanted to learn more about my local community and develop relationships with other community leaders. During my time at LSC, I was exposed to a plethora of issues and challenges that face our region – many of which I was completely ignorant to. I have since become more involved in and aware of local politics, and the impact that it has on our everyday life. The various program days during LSC really exposed me to what is happening along the South Coast, and propelled me to get more involved. Inclusive. I am a democratic, servant leader. I like to hear from all sides of an argument before I formulate a decision.